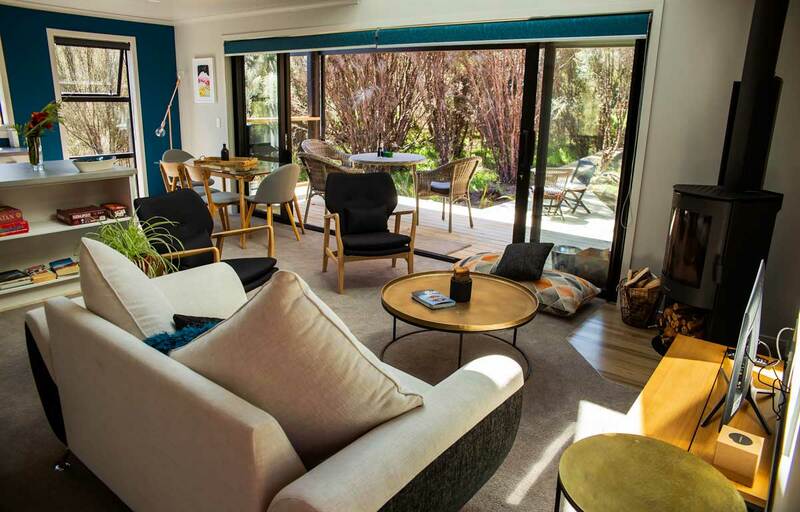 All our suites offer Mt Ruapehu views , across a tranquil pond surrounded by native New Zealand gardens. All suites has access to the hot tub on the central deck where you can also cook a Kiwi BBQ and relax in the sunlounger while watching the sun going down. 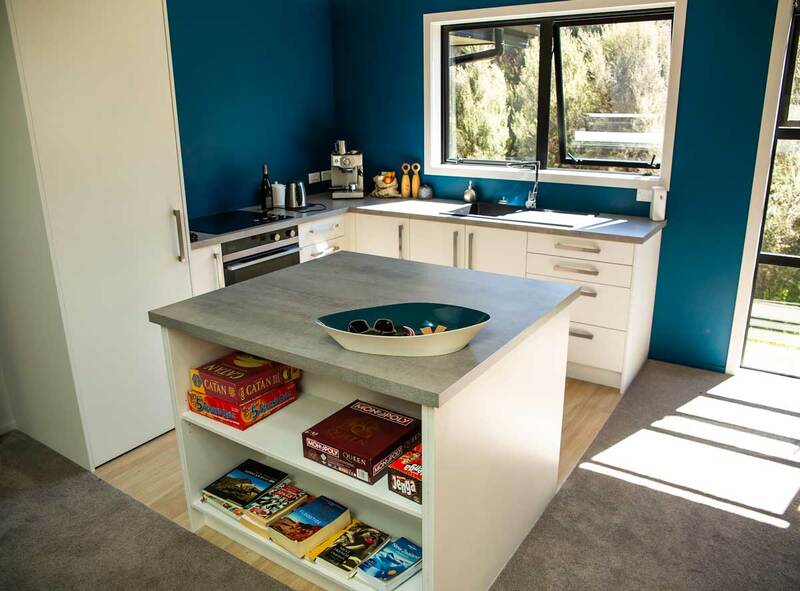 All suites have a full fridge, microwave, toaster, selection of Lipton teas and locally roasted organic Volcanoe coffee and an extensive range of continental breakfast provisions. This suite is approx 48sq m in size and in addition to the spacious walk-in shower offers a freestanding bath overlooking the gardens. Covered deck with rocking chairs and breakfast setting. This is our most luxurious suite and is approx 45sq m in size and offers one of the best mountain views of all 4 suites. 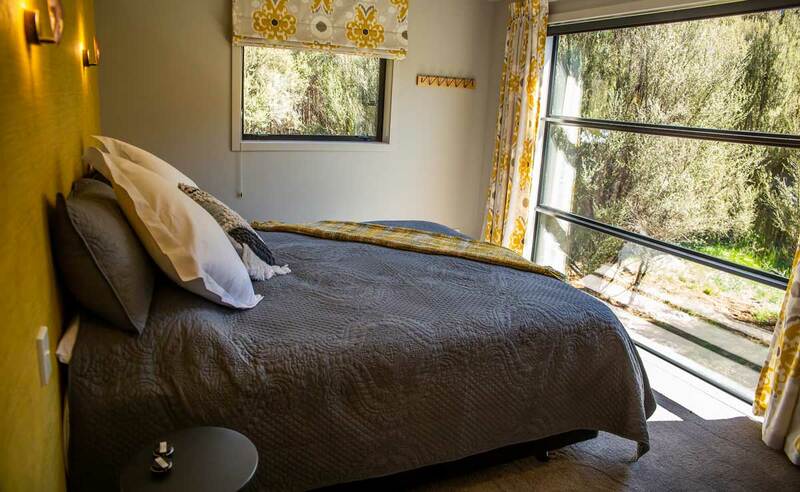 It has a romantic gas fireplace and the bed is positioned so you can wake up and see the sun rise. Bathroom has spacious walk in shower and free standing bath. Covered deck with rocking chairs and breakfast setting. This suite also has direct access to the hot tub. This suite is approx 42 sq m in size and the full bathroom also offers a freestanding bath with garden views. Uncovered deck with rocking chairs. This suite is our smallest but is still generous at 35 sq m.The bed is positioned to wake up and see the sunrise. Deck is uncovered and has 2 chairs and coffee table. Bathroom has spacious walk-in shower only. 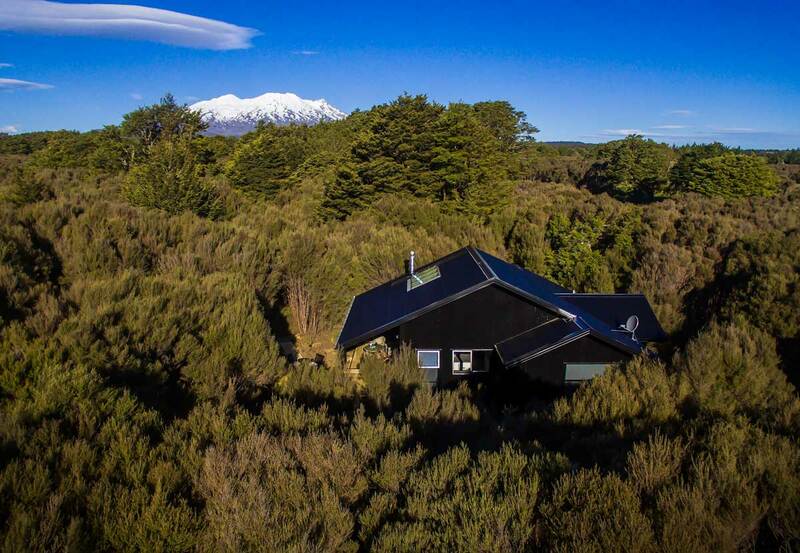 The Nightsky Cottage ( Our sister property) is located in a new subdivision in Horopito, just a few minutes drive from Tongariro Suites. 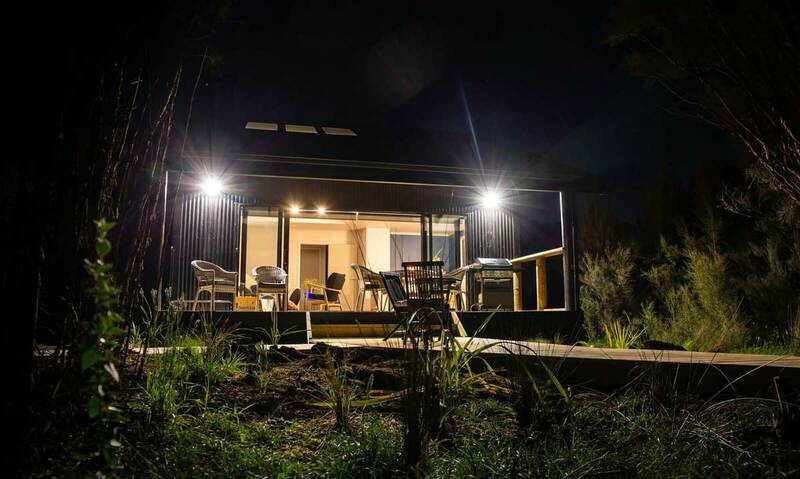 This is a luxury eco retreat, ideal if you are looking for 100% privacy and seclusion or when travelling as a party of 3 or 4 as the cottage has 2 spacious bedrooms. 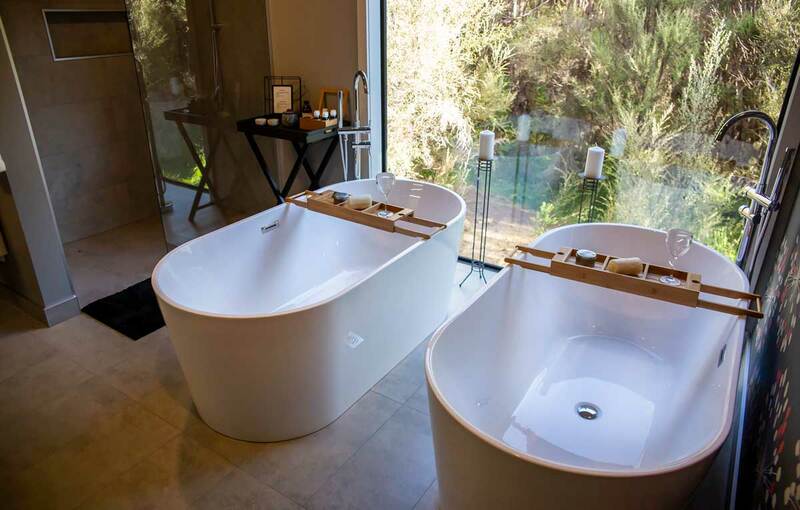 The bathroom is spectacular with 2 side by side baths looking into manuka bush.